Iowa is fast building a reputation for its rapidly-growing craft beer movement – no less than 40 new breweries have sprung up in the last three years alone. 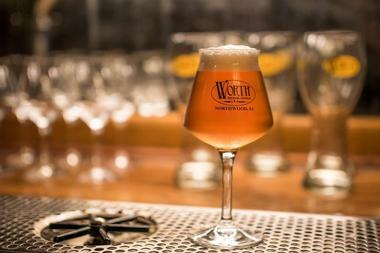 Craft beers appeal to people who like something a little different and most of the craft breweries pride themselves on producing unique brews which are innovative versions of traditional favorites. Perhaps you fancy a traditional Belgian Wit with a hint of herby cilantro or a rich and satisfying Stout with notes of chocolate - it’s all out there waiting to be discovered. 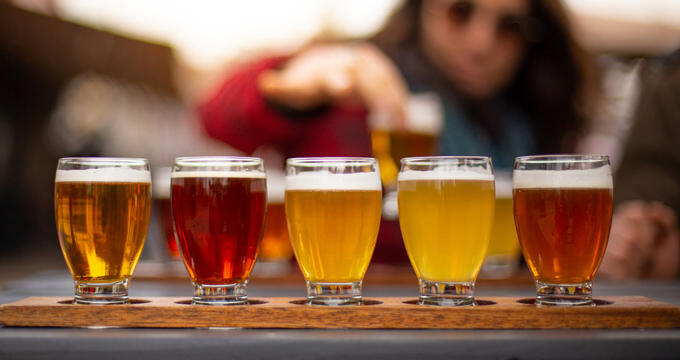 Many craft breweries offer flights of sampler brews so that you can get an overview of what their specialties are - a great way to start your craft brew journey. Established in 1996, Third Base Brewery is one of the oldest craft breweries in Iowa. The brewery has a spacious back room where you can enjoy a game of pool or darts while sipping your favorite craft brew and there are strategically placed TV’s so that sports enthusiasts need never miss a game. The brewery offers an ever-changing selection of at least ten Third Base brews on tap as well as a growing selection of guest brews. 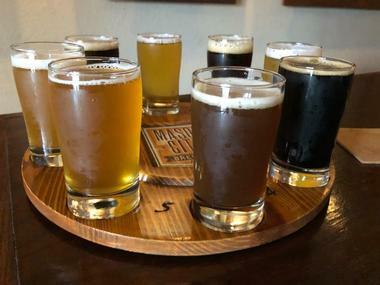 You can order a flight of 4oz tasters to get a great overview of what is available and you can also order a tasty meal from their food menu – regular discounts and Happy Hour specials are on offer. 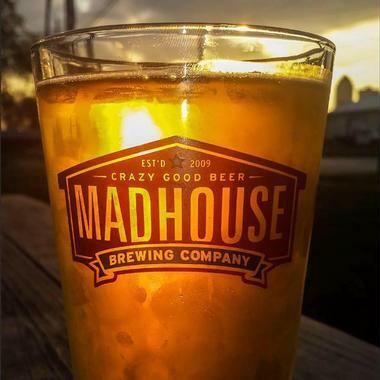 Serving “crazy good beer”, the Madhouse Brewing Company is conveniently located close to downtown Des Moines. The company specializes is producing hand-crafted American-style beers which include some barrel-aged varieties. You can sample on-tap brews at the Taproom where their flagship beers are joined by a regularly-changing selection of seasonal beers as well as a range of bottled beers to drink in or take home with you. A few of the most popular beers which make up the flagship range include their Honey Pilsner, the Hopburst IPA and the Monk Town Belgian-style Dubbel Ale. All of these popular core beers are available to take home in kegs or bottle packs. 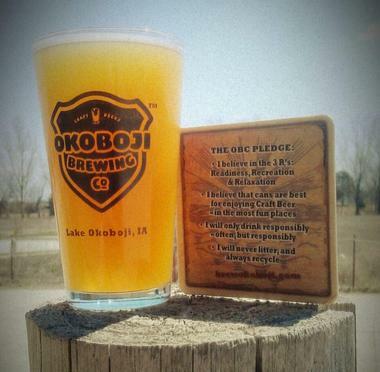 Since 2009 the Okoboji Brewing Company has been introducing the Great Lakes community to the delights of small-batch craft beers. The company has a substantial 25 barrel production system in their brewery and a Taproom where you will always find ten hand-crafted beers on tap. The best way to discover which of the current nine craft brews you prefer is to order a flight of 4oz mini tasters. Two of the company’s perennial favorites are the Veneration IPA and the Boji Blue Pale Ale, both of which are brewed on site. In addition the Taproom offers a selection of guest taps from craft breweries all around the country. The Big Grove Brewery and Taproom is located in the heart of Iowa City where you can visit their taproom to try some of their distinctive craft brews, enjoy a tasty meal or attend one of their regular event evenings. Their craft brew range includes a selection of Pale Ales, a Wheat Ale, a couple of fruity Berliner Weiss and a nitro Milk Stout and they also offer several other guest brews for you to try. If you are not strictly a beer lover you can try one of their innovative beer-based cocktails or a glass of wine. 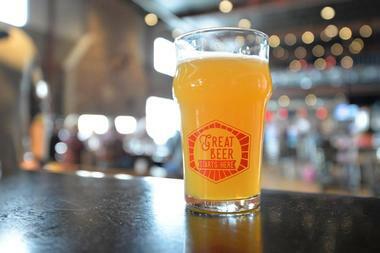 Big Grove has another popular brewpub in Solon. An early fascination with the intricacies and expertise needed to brew a great craft beer led Confluence Brewery founder John Martin to keep honing his home-brewing skills and eventually go into a micro-brewery partnership with fellow brewing enthusiast Ken Broadhead. 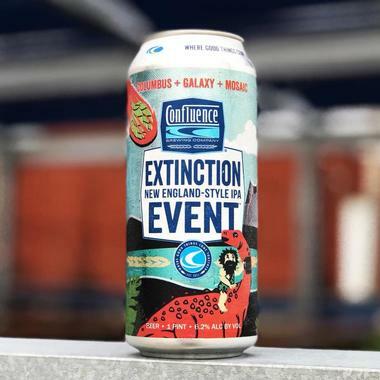 Today you can visit the Confluence Brewing Company Taproom to spend some convivial time with friends tasting a range of traditional (and non-traditional) craft beers. Year-round stalwarts include Des Moines IPA, Farmer John’s Ale, Capital Gold Lager and Thomas Beck Black IPA. Seasonal innovations and unique limited release brews include a choice of Milk Stouts, Lagers, Blonde Ales, Sour Ales, Hefeweizens and an English-style ESB. 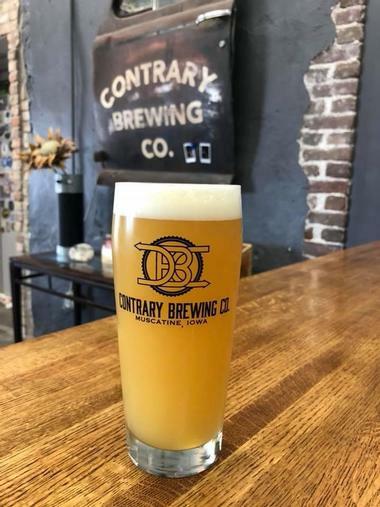 Contrary Brewing Company is located alongside the Mississippi River in Muscatine Iowa. The brewery produces an impressive menu of innovative brews. Many of the beers on offer are based on traditional European and American brewing styles which have been given an innovative crafty twist to make them unique. You can start by trying one of their tap-room ranges of Blonde and Pale Ales or be more adventurous and try the German’s Chocolate Cake – a heady Brown Ale redolent with coconut, chocolate and caramel. If you love fruity beers try their Moving to the Country Milkshake which shocks the palate with an abundance of vanilla, peach and mango. On good weather days you can enjoy your craft brew on the terrace overlooking the river. 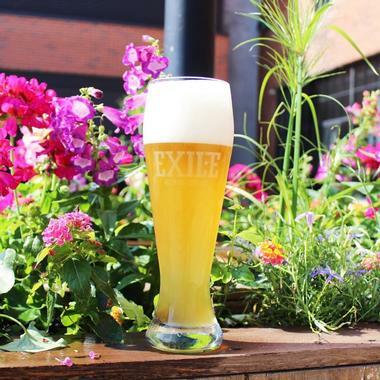 The team at Exile Brewing Company in downtown Des Moines takes great pride in showing off their state-of-the-art brewery which is located in a prior soap and cosmetic factory. Scheduling a tour of the brewery is the ideal way to learn all about the production of their range of craft beers before you grab a table in the Brewpub or the Beer Garden to do some serious eating and beer tasting. You can choose from a wide range of interesting brews including fruit-brewed sour Ales (Pineapple Bohemian and Lemon Trail), fruity Pilsners (Ogre at Simcoe Pass) and a hefty mocha Stout called Sir Mooch-a-lot. 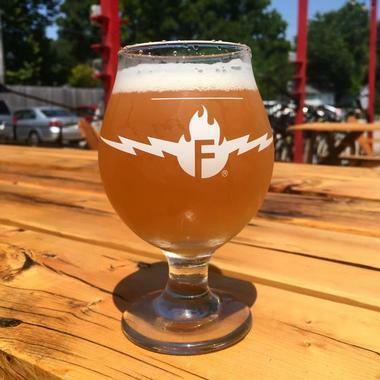 Firetrucker Brewery in Ankeny is based on the premise that Beer is Art and that producing a fine craft beer is a work of innovation and creativity. The brewery produces a fine selection of year-round on-tap favorites as well as a cheeky collection of seasonal experimental brews including a range of intriguing smoky Stouts and Porters (thanks to their in-house milled and smoked grains). A few of their limited-release brews include Tropical Burn (DIPA with citrus and mango tones), Paradox Black IPA with vanilla and citrus and Silvius Brabo, a Belgian Pale Ale with hints of biscuity caramel. You can enjoy great beer together with great music at one of the breweries’ regular music evenings. 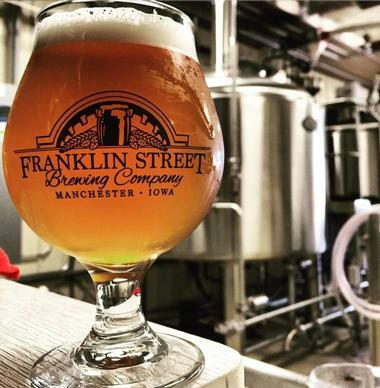 The Franklin Street Brewing Company is owned by brothers Kyle and Chad Sands and is conveniently located in a historic Masonic building in downtown Manchester. The brothers honed their skills over many years and are now producing small-batch award-winning Ales and Lagers which are defined by quality ingredients which place them firmly ahead of mass-produced brews. Every month you will find a rotating selection of beers available at the Taproom; the current selection includes a Czech-style Pilsner called Big Frank, a Cherry Saison called Book Club and a robust and chocolaty Stout called Don’s White. On Fridays and Saturdays there is usually some local live music to go with your pint. The Iowa Brewing Company’s brewery facility in Cedar Rapids still looks shiny and new but it is constantly growing from strength to strength. The Taproom is a comfortable space to spend time with friends, listen to some live music and taste some great craft brews. (There is also a great outdoor seating area for balmy summer days). 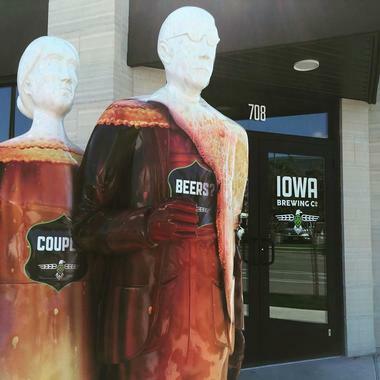 The brewery produces a range of year-round core brews which include Iowa Eagle (American Lager), Bohemian Rapids (Czech Pilsner), Surf Zombies (IPA) and Tragedy of the Common (Amber Lager). This core selection is joined by seasonal brews including Sterling Bridge Scottish Ale and Oja Baltic Porter. Several of the beers are produced using innovative barrel maturation. Founded in 2012 by Roger and Ellen Brown, the Iowa River Brewing Company is dedicated to producing a fine range of small-batch craft beers. Constant experimentation with grains and yeasts allows the brew-master to create some unusual and innovative flavors in old favorites. 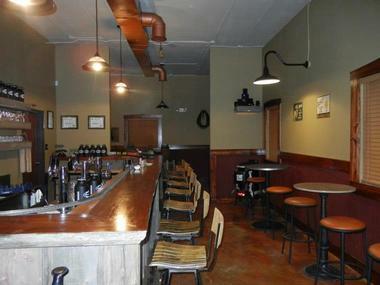 The Taproom was built using many re-purposed old woods which gives the room a comfortable historic ambiance. In the Taproom you can get to know the range by trying single 4oz samplers, a flight of six samplers or a pint of whatever catches your interest. The list of available beers changes regularly but there is a core selection of popular brews that are always available including Iowa Class Amber, Churchill Porter, Bombus Honey Malt and George Hopper IPA. 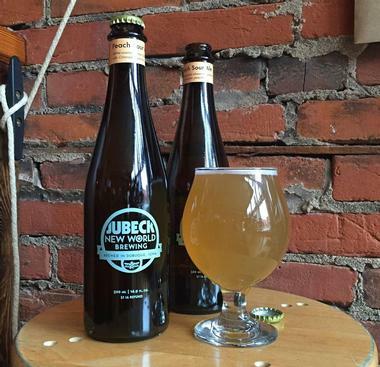 At Jubeck New World Brewing the emphasis is on producing high-quality hand-crafted Ales and Lagers using the best possible locally sourced (and organically grown) ingredients. In the Taproom you will find a rotating selection of ten craft brews – popularity dictates which of the many experimental and seasonal brews will find a regular place on the list. You will always find a few great American Ales, one or two Belgian and British Ales, a couple of German Ales and Lagers as well as a Stout and/or Porter. If you are lucky enough to be a local craft beer fan you can buy a membership at the Brewery which offers many great deals including exclusive events and member discounts. 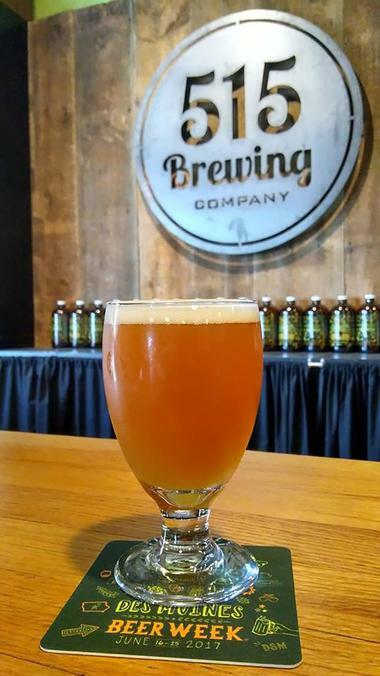 Conveniently located in Kalona, (just 30 minutes from Iowa City) the Kalona Brewing Company produces their selection of hand-crafted beers using a 15-barrel brewery system. 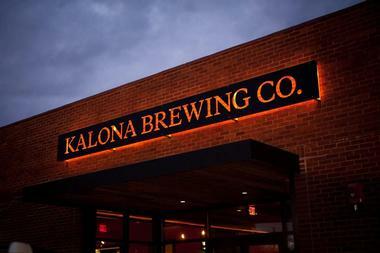 More than just a craft brewery, the Kalona Brewing Company has an on-site restaurant where you can sample their produce on tap (including limited editions and seasonal brews) and enjoy a delicious meal prepared from locally-sourced ingredients. A few of the core beers available include Sucha Much (IPA), Kalona Classic (Light Lager), Quick Wit (Belgian Wheat) and Sheer Madness (Dark Wheat Ale). In addition there are always a few seasonal gems like Start Up Stout (with coffee and chocolate) and Limber Legs Lager (around Oktoberfest time). 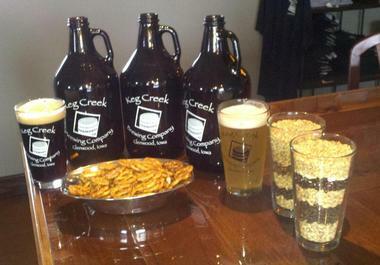 Open five days a week (Wednesday to Sunday), the Taproom at the Keg Creek Brewing Company offers visitors the chance to taste a rotating selection of twelve carefully hand-crafted on-tap beers. There will always be a few beautifully rounded Red, Brown and India Pale Ales, accompanied by a few American Wheat Ales, a couple of full-bodied, dark and mysterious Stouts and the odd German-style Lager. The team at Keg Creek is proud of their brewing establishment as well as their distinctive craft brews and likes to promote an interest in craft brewing by offering tours and educational discussions and tastings. Mason City Brewing has been keeping northern Iowa beer lovers happy since 2013 when they began producing fine craft beers at their modern state-of-the-art brewing facility in Mason City. The company uses a three barrel system to produce their core range of popular brews as well as a variety of seasonal specialties. A few of the most popular brews include their Iowana Cream Ale, Motorman’s Irish Red Ale, the citrusy and spicy Traction IPA and the Row House Brown Porter, redolent with coffee and caramel. The Taproom is an ideal place to meet friends for a quick pint or settle in for Trivia or Wednesday and Thursday nights. A hobby that grew and grew… this thread runs through the history of many of Iowa’s craft breweries and 515 Brewing Company is no exception. Owner/brewers Ryan and Brandon started their three-barrel brewery in 2013 and were soon forced to expand to satisfy the demand for their award-winning craft beers. Today 515 Brewing Company is constantly experimenting with new flavors to delight your palate and the range of beers on tap is always changing. A couple of the most popular brews are their Mexican Spring and Mexican Summer (a pair of pale wheat Ales with surprising twists). They also offer several IPAs, a Porter, a Pilsner and a Belgian Quad. 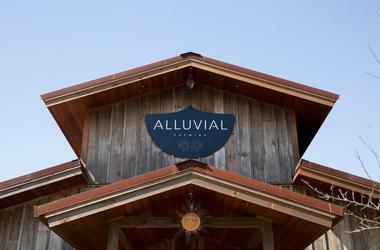 Dedicated to producing a limited range of special craft brews to please discerning Iowa palates, Alluvial Brewing Company welcomes locals and visitors to their taproom on their organic farm in Franklin Township. Currently they offer around eight craft brews on tap including a couple of Stouts, a Helles, a few Pale Ales and a grapefruit Radler (a refreshing low-alcohol blend of lager and grapefruit juice). You can spend a relaxing evening in the taproom trying a few craft brews and playing a variety of board games or come for one of their special event evenings which include Trivia nights, Yoga and Brew nights or Barbecue and Brew events. 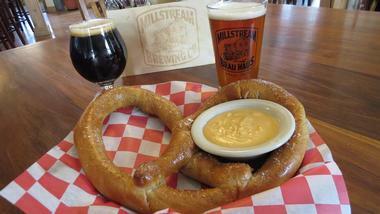 Millstream Brewing Company was established in Historic Amana Colonies in 1985. The brewery set out to produce small batches of distinctive brews following European beer-making traditions and have won a large number of awards for their ever-expanding range of hand-crafted beers. You can visit the Taproom at the Brewery to taste a core range of six year-round beers which include the ever-popular Schild Brau Amber, one of the original beers produced back in 1985. In addition you can try one of their seasonal brews (selection changes quarterly). In 2016 the company opened their Millstream Brauhaus where you can enjoy a handful of specially-brewed Brauhouse beers together with delicious German delicacies. Centrally located on Main Street Knoxville, the Peacetree Brewing Company takes great pride in producing a limited variety of flavorsome hand-crafted beers which are available in the Taproom or at various local restaurants and bars. Like most craft breweries Peacetree have a core collection of flagship brews which are always on the menu – these include Red Rambler Ale, No Coast IPA, Mile Long Lager and the Blonde Fatale. These are joined by seasonal brews like the Hop Wrangler IPA, the Rye Porter and the brilliant Kiss from a Gose which offers a wonderful coriander and salt flavor. You can book a brewery tour to see your favorite brew in the making. 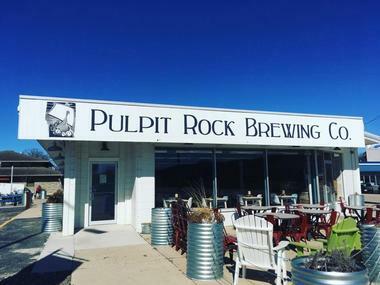 Since opening their doors in 2015, Pulpit Rock Brewing Company have had a core commitment to producing quality craft beers which are innovatively brewed to respect the classics while always striving to stretch the boundaries. Although some of their brews loosely follow style guidelines, the brew masters are always experimenting with different hop varieties, new yeast strains and other exciting elements. 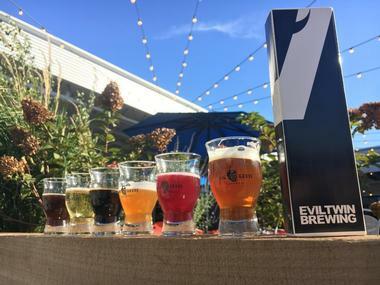 The result is a constantly rotating collection of seriously exciting beers on tap at their inviting Taproom, which has an outdoor patio for balmy summer evenings. You can check their website to see what is currently on tap and Growlers and Crowlers are available for you to take home and share. Occupying the former premises of the legion hall built in 1948, the Reclaimed Rails Brewhouse occupies the entire ground floor of the building while the second floor Taproom has space to seat more than 100 enthusiastic craft-beer lovers. As the name indicates, the taproom bar and all the tables and chairs have been made using reclaimed wood giving the space a unique ambiance. The brewery offers a rotating choice of 16 on-tap brews so that you can enjoy a new beer sensation every time you visit. A few of the classics which are always available include Trailhead Red IPA, Twisted Silo (a Belgian Strong Golden Ale) and the popular Corn Belt Pilsner. These are joined by seasonal brews such as Hipster Juice IPA, Vanilla Cream Ale and a grapefruity Spring Saison. 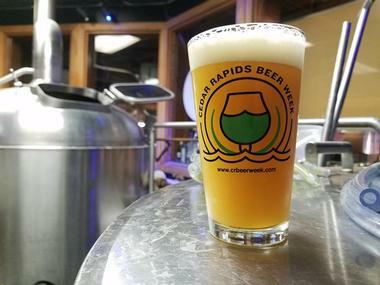 Conveniently located in the historic Cedar Falls downtown district, within an easy stroll of the University of Iowa, SingleSpeed Brewing is a popular meeting place for locals and visitors to Cedar Falls. The SingleSpeed Taproom offers a selection of hand-crafted beers which include a choice of six popular flagship brews which are available year round – these include five different styles of Ale together with their Tip the Cow Cocoa Espresso Milk Stout. This choice is broadened by a selection of seasonal brews which include ingredients like berries, fruit, oatmeal and even mint to tantalize the taste buds. You can also order delicious meals from the food menu to enjoy alongside your favorite brew. The multi-award-winning Toppling Goliath Brewing Company was started by Clark and Barb Lewey in 2009 and in less than ten years they have received world-wide recognition for their outstanding Barrel-Aged Stouts and distinctive IPAs. Due to the overwhelming demand for their exceptional hand-crafted beers the brewery has recently moved to larger premises in Decorah, complete with a restaurant and a great Taproom. You can join a Brewery Tour to see behind the scenes or do some tasting in the Taproom where 8 of the 16 on-tap brews are available as tasters. Besides their classic flagship Lager, a couple of the fruity brews on offer include Dragon Fandango (with dragon-fruit, mango and passion fruit) and the Pompeii IPA with mango and pineapple flavors. 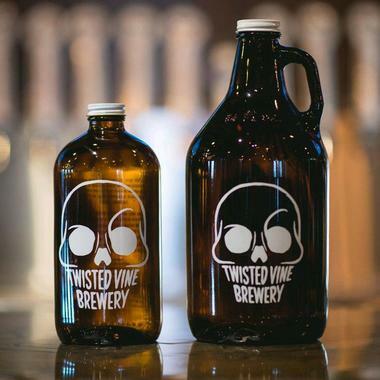 The brew masters at Twisted Vine Brewery are not too fussed about playing by the rules when it comes to crafting their range of interesting and innovative craft brews. Their mission is to introduce an ever-growing number of people to the delights of a well-crafted small-batch beer and their Taproom currently offers no less than 29 varieties of craft beer on tap, (including around 25 in-house brews). They also offer a selection of wines and a few guest brews. 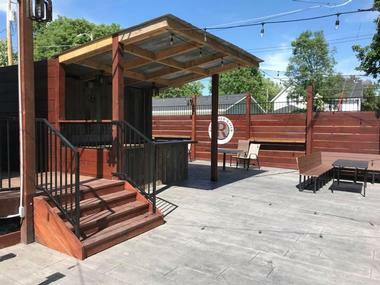 The Taproom is a great place to meet up with friends to enjoy a meal and a few excellent beers and there is an outdoor seating area for good-weather days. Worth Brewing Company was established in Northwood in 2007, with the express intention to revive the old North Iowa tradition of small-town community breweries. They have gone from strength to strength and now offer a great selection of fine beers on-tap in their Taproom. 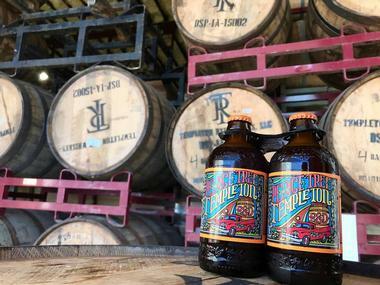 Some of their ever-popular favorite brews include the German-styled Strange Fellas Helles, the Borderline Brown Ale (with hints of caramel, smoke and toffee) and the citrusy Field Trip IPA. The six core beers on tap are joined by a monthly selection of specials which could include Brunhilde Belgian Dark, Dye Job Ginger Saison or the summery Short Trip IPA. The Taproom hosts regular game nights and other events – check their website to see what you can expect.